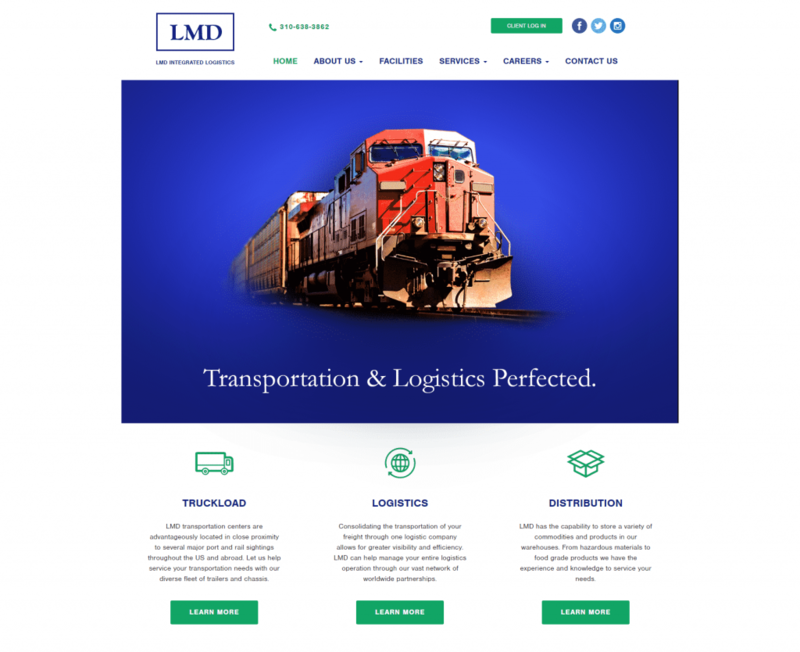 LMD Logistics is a leader in the logistics and transportation industry. 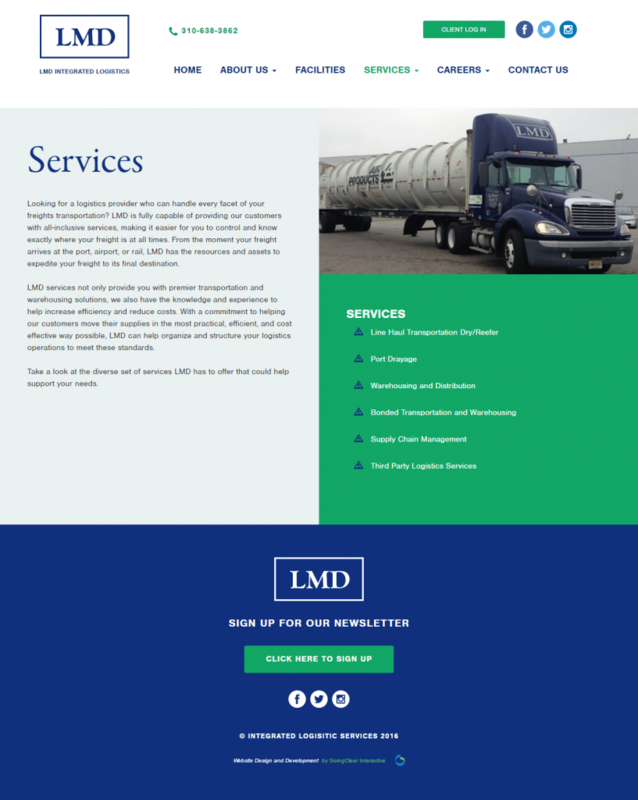 With over 30 years of experience, the company continues to grow, expand their service area and build ongoing relationships with their clients. The company places high priority on safety regulations, and keeping up with the latest technologies. 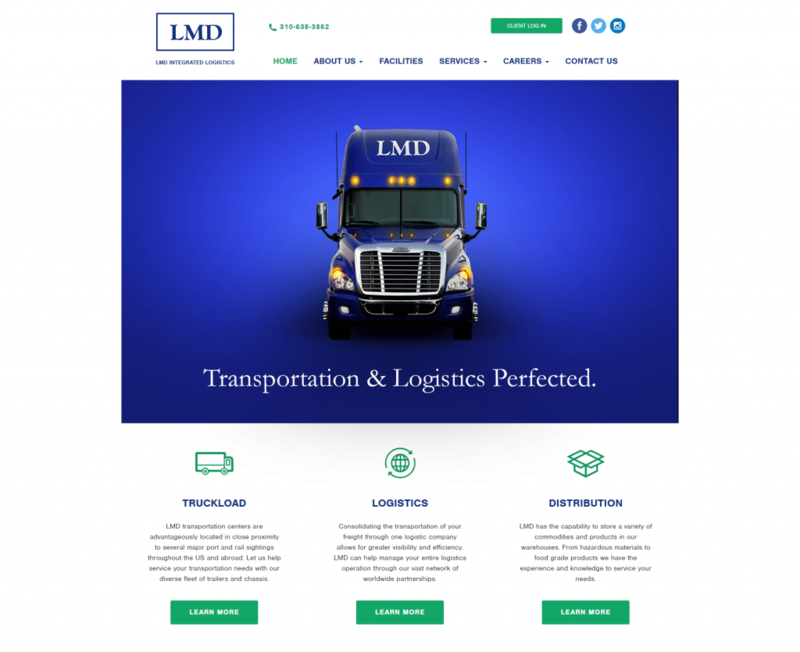 GoingClear helped with the LMD website by first listening to the client to understand what the issues with their previous site were. 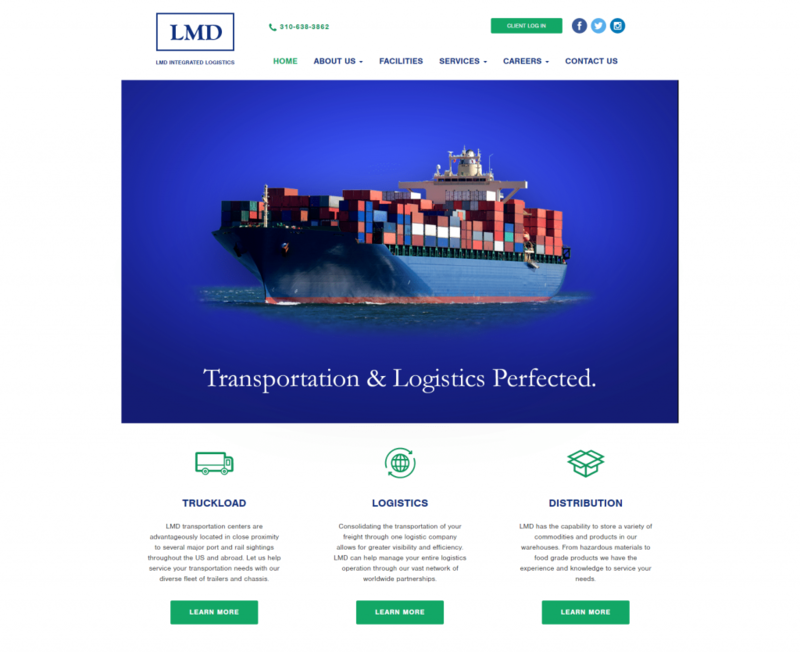 It became clear to us that the overall goal was to have better organization and a fresh, new look. 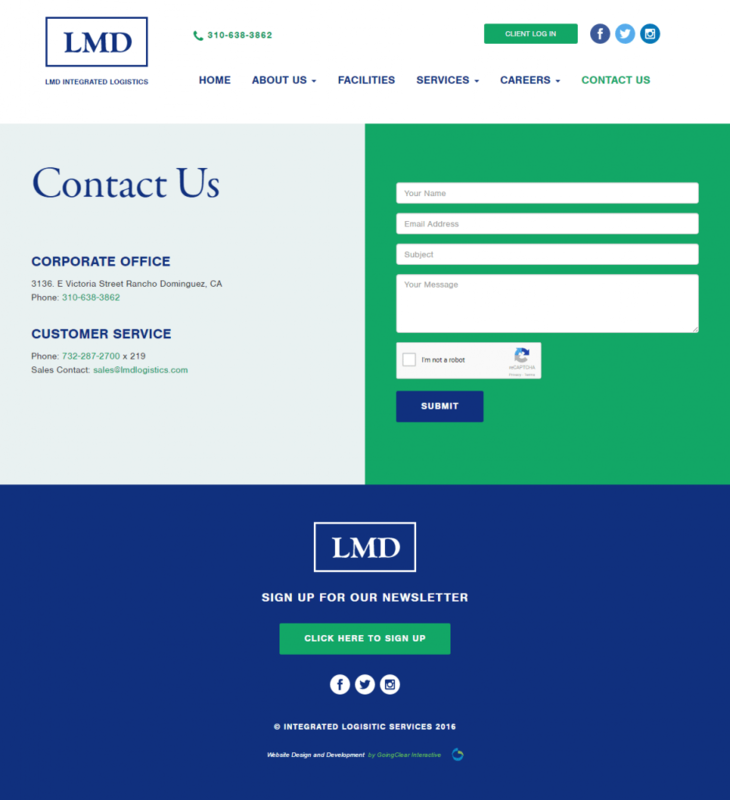 GoingClear assessed the current sitemap and presented a refined version in our designs that the client loved. Once in development, GoingClear constructed the site so that the client can easily make future updates where needed. 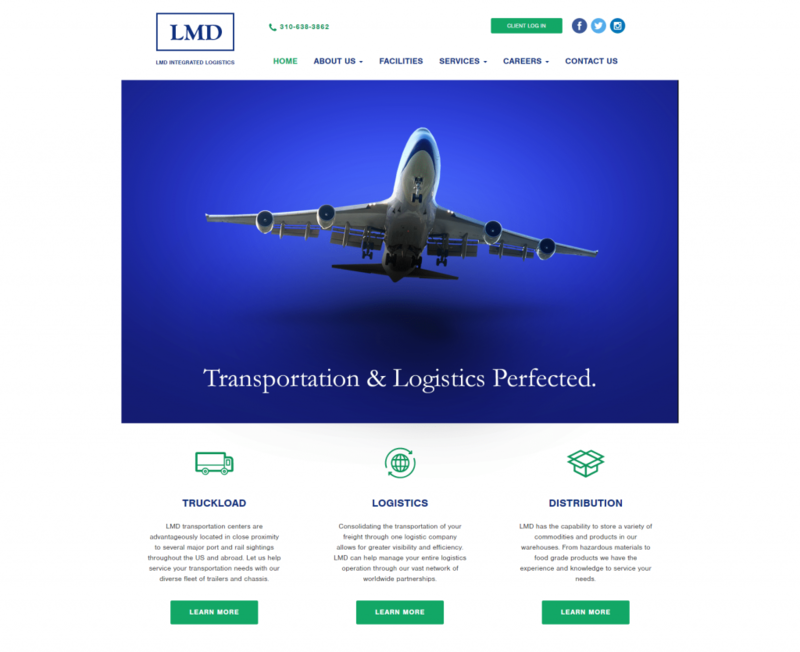 We also leveraged high-quality photography and svg icons for superior scalability. 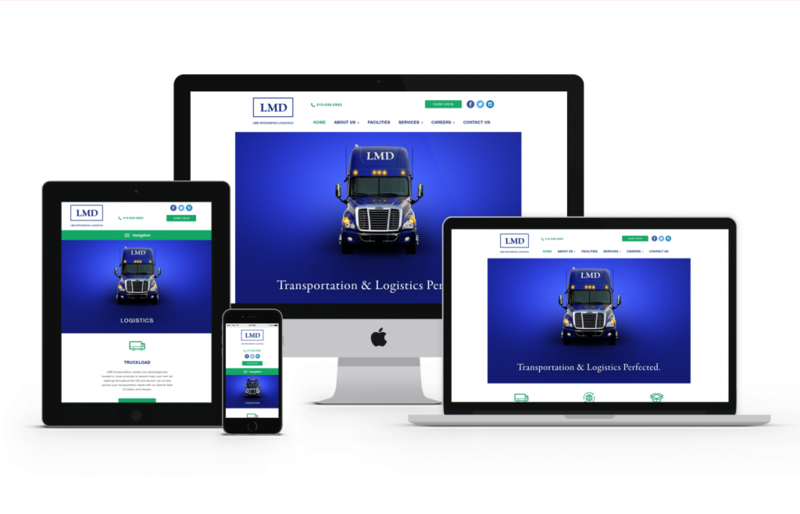 The new LMD Logistics website was built using WordPress content management system and Twitter Bootstrap, which means it is Fully Responsive and mobile and tablet friendly so visitors are guaranteed to have a flawless experience on any device.